This is how we would set up the "Relay Mail From" parameter in MailServe so the server will relay mail from all machines on the local network. 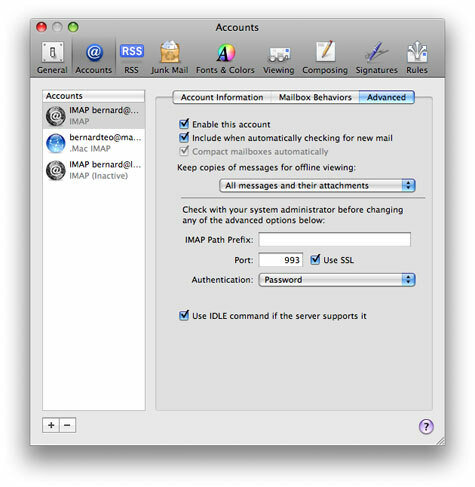 Machines outside the network are blocked from sending mail. 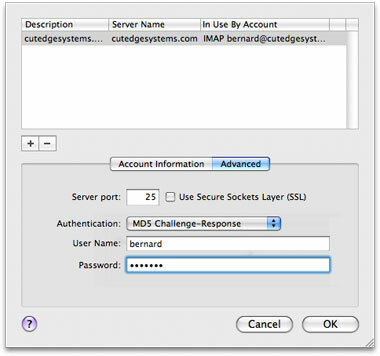 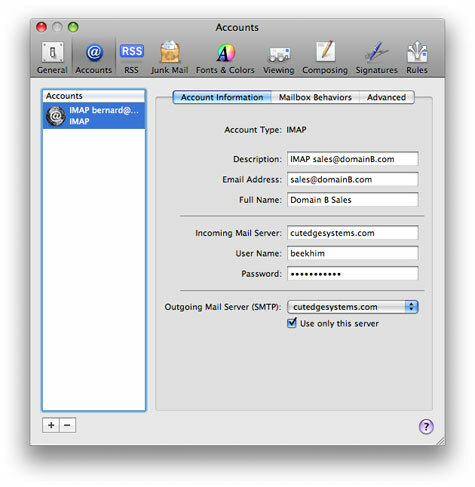 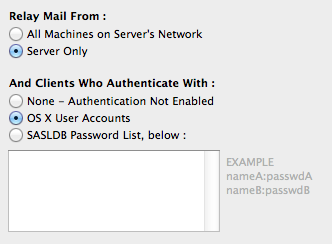 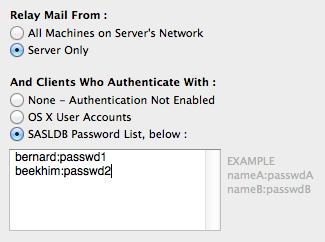 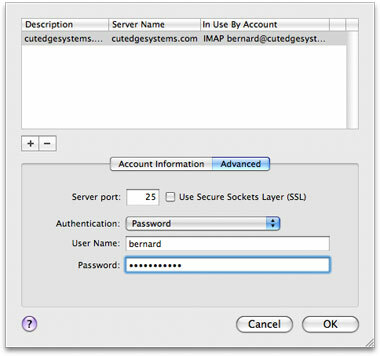 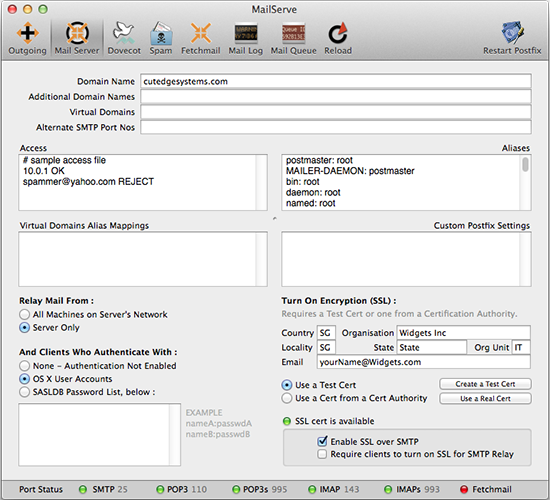 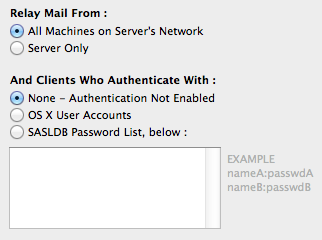 NOTE: New in MailServe for Mountain Lion 6.0.6 - the SASLDB authentication method now allows you to also use plain, login passwords (select Password instead of MD5 Challenge-Response in the pop-up menu, above), to support older mail clients that don't speak CRAM-MD5. Intermediate CA Certificate: If you are using a chained CA Cert, you can use the Intermediate CA Certificate field to store the Certification Authority’s Intermediate Cert. 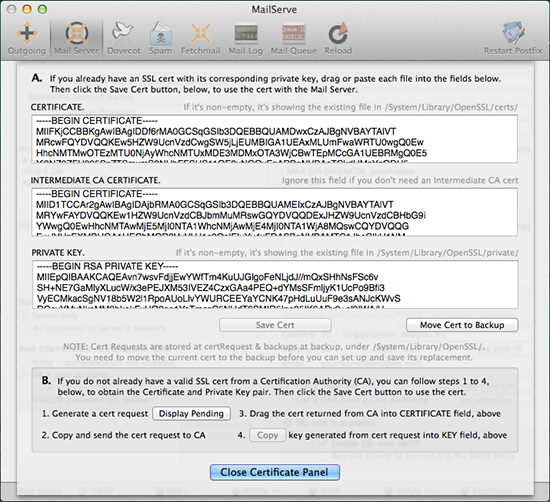 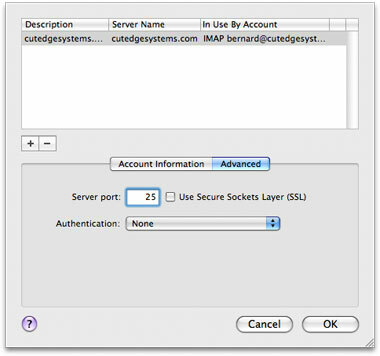 When you close the cert management dialog box, MailServe will be able to detect that an SSL cert is now available for use and so allow you to turn on the SSL-related controls.